The thought of filing bankruptcy will either give you a feeling of relief or send chills down your spine. Compare the options of filing bankruptcy to enrolling in a debt management plan. Should you file bankruptcy? The decision to file for bankruptcy is a huge one. Bankruptcy can mean immediate relief of overwhelming debt and a fresh-start to your finances. But, bankruptcy can also mean limited access to credit for several years to come. Let’s be honest, there is a stigma involved when filing bankruptcy. Not only will your credit score suffer for several years, it may be difficult to purchase property, get insurance and perhaps gain employment due to a bankruptcy on your credit reports. But there is another option to filing bankruptcy. Consider a debt management plan instead. A debt management plan may be a viable alternative to filing bankruptcy. Let’s examine the differences in filing a Chapter 7 Bankruptcy and enrolling in a Debt Management Plan. Chapter 7 Bankruptcy is designed to give consumers a “fresh start” from unmanageable debt. The history of bankruptcy in the United States has a sordid past. There have been many changes prior to and subsequent to the 2005 Bankruptcy Abuse Prevention and Consumer Protection Act (BAPCPA). The BAPCPA introduced the Means Test for determining which individual debtors can qualify for Chapter 7 and which have to file a Chapter 13 case to obtain any relief. The Means Test prevents debtors from discharging debts that they can afford to pay, either outside of bankruptcy or through a Chapter 13 repayment plan. BAPCPA also introduced mandatory credit counseling and debtor education courses. Pros of filing Chapter 7 Bankruptcy. Chapter 7 Bankruptcy only takes approximately 3 to 6 months to complete so debtors can get out of debt quickly. Most debts can be wiped out (discharged) through Chapter 7 Bankruptcy. You can keep your house or car as long as you’re current on the payments, can continue making payments after the bankruptcy case, and can exempt the amount of equity you have in the property. Chapter 7 Bankruptcy provides an automatic stay (injunction) against creditors’ collection activity. You get a fresh-start with your finances. Once the bankruptcy has been discharged, you will begin to get new credit offers to rebuild credit after bankruptcy. In about 2 to 3 years your credit score can rebound dramatically, if you have managed your credit and debt correctly. Cons of filing Chapter 7 Bankruptcy. Debts such as student loans, recent taxes and unpaid child support typically cannot be wiped out through Chapter 7 Bankruptcy. They are considered non-dischargeable debts. Chapter 7 Bankruptcy will have a significant impact on your credit scores. The exact effects of a BK on your credit scores will vary but according to FICO’s credit scoring model, bankruptcy can take 200 points or more from a good credit score (700 or above). If your credit score is 680 or less, approximately 130 to 150 points will be taken from your credit scores. Chapter 7 Bankruptcy remains on your credit reports Experian, Transunion and Equifax for 10 years. Court filing fee of $335 (currently as of 2018), plus attorney’s fees of $1,200 to $2,000 on average. Consider an alternative to filing Chapter 7 Bankruptcy. A Debt Management Plan (DMP) is administered by a credit counselor who assesses your debt, rolls the total debt into one monthly payment, then divides the payment among your creditors on your behalf. You provide details on all of debt and the credit counselor will work within your budget to come up with an affordable monthly payment for all your unsecured debt. Credit counselor negotiates with your creditors to take a certain amount each month in lieu of regular payments. Your creditors may agree to lower interest, lower fees, or to legally re-age the account. Legal re-aging is a positive action unlike illegal re-aging. With legal re-aging, the creditor may agree to restore a delinquent account after a series of on-time payments. A DMP usually includes a lower minimum payment for each of your creditors. Consolidation of multiple payments into a single easy-to-remember monthly payment. An end to stressful collections calls and letters. Having a definitive date when you’ll be done paying off unsecured debt. While DMPs may help people avoid filing bankruptcy, debt management plans can still negatively affect credit scores. You aren’t allowed to use your credit cards while you’re on a DMP. A DMP typically takes up to five years of payments to complete. Although your credit counselor will attempt to secure the cooperation of your creditors, they are not required to accept a DMP offer. Although a DMP isn’t calculated into your credit score, it will be noted on your credit reports. Your credit score may suffer because it can affect other aspects of your credit that are common factors in the FICO credit scoring model. For instance, closing accounts lowers the amount of credit you have available (your credit limit), which increases your credit utilization rate because you have a balance while having ZERO available credit. Only unsecured debts like credit cards, collection accounts, unsecured loans (personal loans) and medical bills can be included in a DMP. 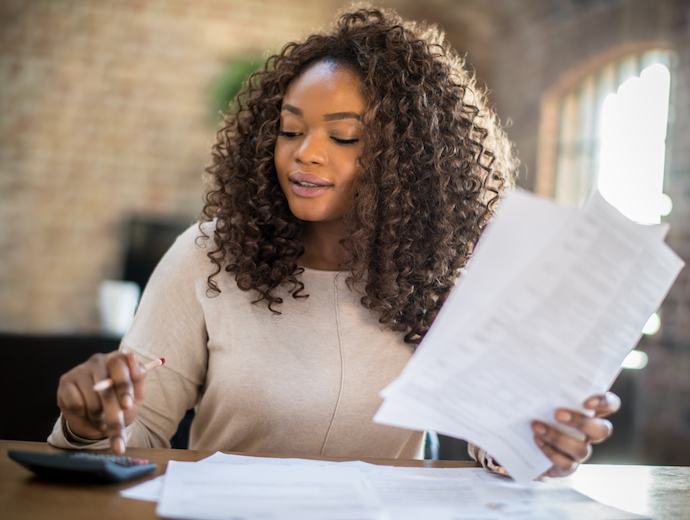 Debt management plans cannot include secured debts such as a mortgage, auto loan, or home equity loan, student loan debt; and child support may not be included either. You must have enough income to cover your payments to qualify for a DMP. You can’t seek out new debt when you’re in a DMP. Your creditors will be monitoring your credit report. If you open new accounts while in a DMP, creditors can discontinue their participation. Keep in mind debt management plans may be different from the debt relief programs you see or hear advertised. It’s best to seek a debt management plan through a non-profit agency. Check out the National Foundation for Credit Counseling to find a truly non-profit affiliate to enroll in a debt management plan in your city or state. People in deep debt may find Chapter 7 Bankruptcy or a Debt Management Plans most beneficial. But for some, a debt consolidation loan may be a better option. Even if you have late payments and poor credit you may qualify for a personal loan with an online lender. Check out consolidation loan options. Legal Disclaimer: This article is for informational purposes only and not for the purpose of providing legal advice. You should contact your attorney to obtain advice with respect to any particular issue or problem. Use of and access to this article does not create an attorney-client relationship between the author of this article and the user or browser.